If there is one buzzword that has meaning each day it is the environment – well we have only one. Fortunately today there are several ways when you can make a choice towards taking the right step to be ecologically sensitive. Again, these choices are not just limited to food but also apparel as well as your home. And if you are wondering where you can start, read on. Go Native is a concept store and a restaurant that resonates how you can make sustainable living work. 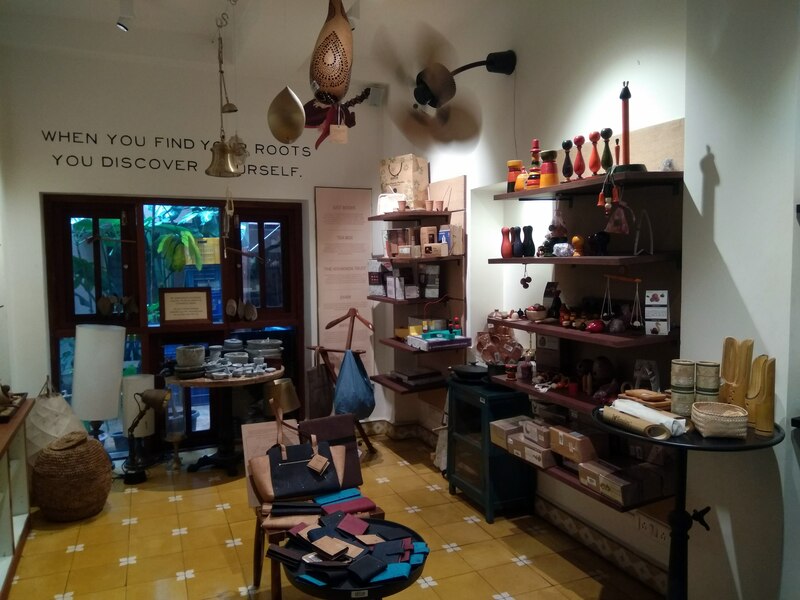 Started by the young and energetic Anvitha Prashanth in February 2017 in Jayanagar this is a delightful space where you can pick up loads of ideas for your home, make the right choice for your food and also look fashionable and yet ecofriendly when you pick up the choice of clothes and accessories. The best part is that this store has been converted from a home so there is a sense of connect immediately. A small garden space welcomes you to the store and the first section has a sneak peek of all the new collections. 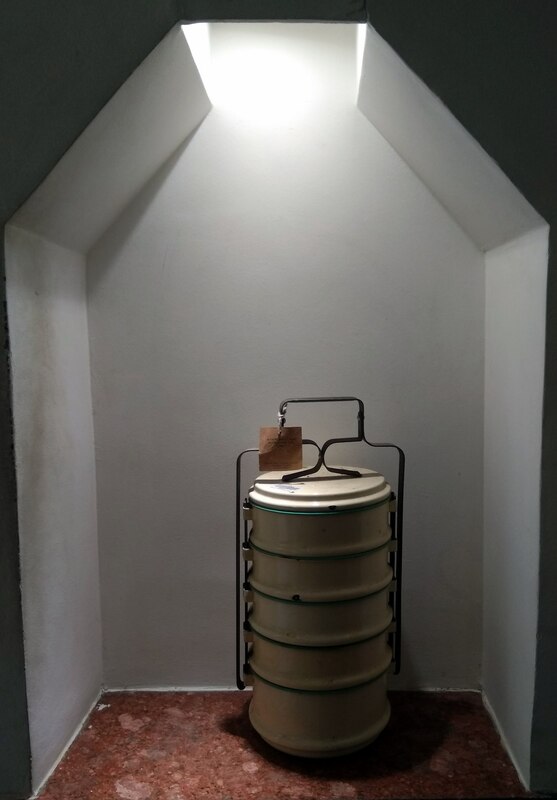 “The kind of products I choose are primarily based on what I think I can use and can be part of my own journey to lead a sustainable life,” says Anvitha. 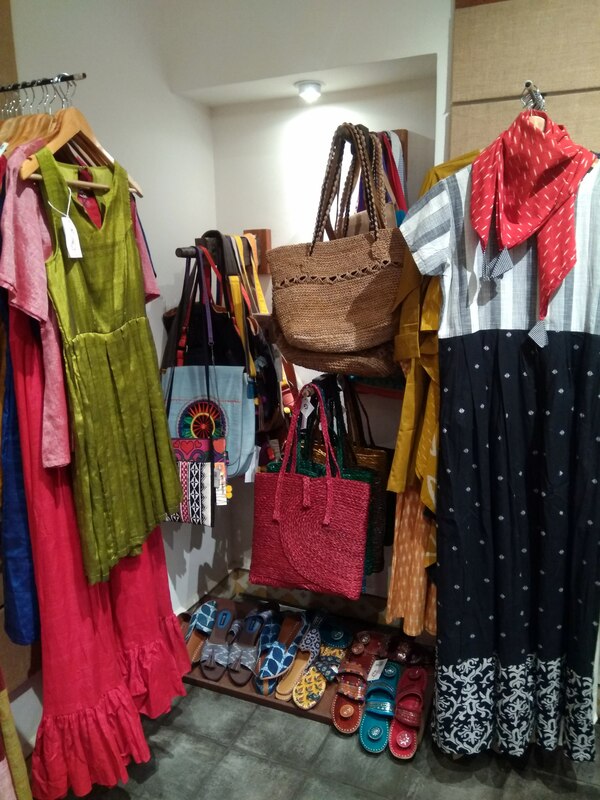 While the focus is to primarily work with local designers in and around Bangalore, the store also has several brands that advocate a green path. This is where brands like Rajas, that have hand crafted Indian handlooms, handloom sarees from the House of Taamara, natural dye prints from Blue Lotus, exquisite hand work from Kaisori and Dori that works on Ilkal fabrics with Kasuti embroidery jostle for space with brands like Shradha, Vraj:Bhoomi and Proyog. For accessories check out Mrinalini Cariapa’s Flames of the Forest that has an exclusive collection of designer jewelry with rare semi-precious gems, like Coral Fossil, Jaspers, Solar Quartz and Lod Olite. On the first floor you will also find Anshumi that has an exclusive collection of 18 carat gold jewellery strung with natural gem stones a jewellery boutique from the house of Pathi. Do check out Arture’s premium lifestyle accessories including bags and wallets too. Since your home is an extension of your personality, why not make it sustainable by choosing home décor and accessories that are environment friendly? And Go Native helps you do just that with a plethora of brands including BambooIndia that works with artisans in rural India and AnanTaya that works with home accessories, gifts, textiles, lights, furniture, tableware rooted in ancient craft practices. 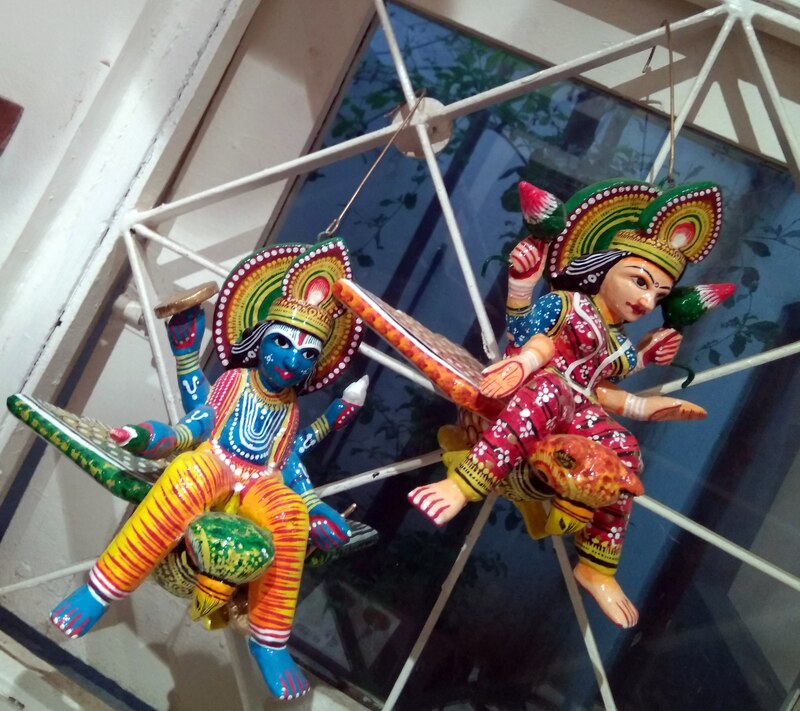 Likewise, Ziveli works with traditional handicraft artisans of India to create lifestyle products including bags, baskets and home décor that are all handmade using the Kauna Reed. The store also retails products from TKT Banana Fiber Crafts from The Kishkinda Trust in Aanegundi. The banana fiber products are unique as they are made using a pseudo stem shed by the tree and the fiber is spliced and twisted into yarn by hand and are made by the village women. The Purple Turtle, Varnam, Ekam and The Vedic Company also retail here. If you knew the kind of chemicals that are in your cosmetics, you will not even think once before tossing them out. This is why it is necessary to ensure that you choose what is good for your skin and also the environment. Bare Necessities a zero waste personal care and home care brand retails products that are non-toxic, non-GMO and cruelty-free. Also Coconess has coconut based products backed by scientific research and traditional Ayurvedic medicinal systems. Their range of wellness oils are a good choice too. The store houses a carefully curated collection of handmade soaps, organic oils and more. For babies, a must try is products from Earth baby that has baby soaps, gift hampers and natural dyed nappies. And finally the most important choice that defines what you are is your food and this store offers a plethora of organic and artisan products that can help you lead a healthy life. The selection of food products here are chemical free, organic, handpicked and responsibly sourced from local farms. 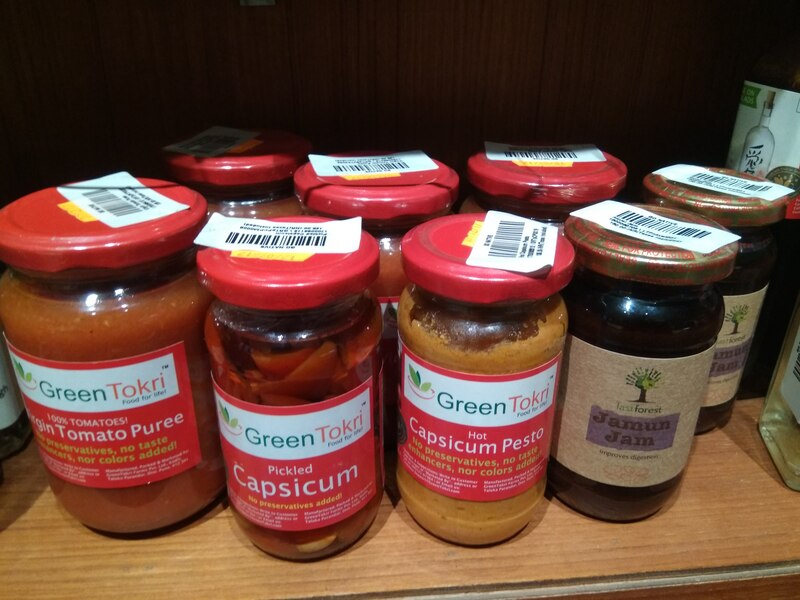 Check out the Full Spoon products like Kodo Millet pasta, Buckwheat Chutney Powder and Ragi pasta. WildKaapi has a range of premium wildlife friendly single origin coffees and Green Tokri’s preserves and purees are also worth a dekho. Also check out the range of teas from Tea Box. According to Anvitha, she hopes to go completely plastic free by the end of July 2018 and is working with her vendors to ensure that the packaging is completely eco friendly too. An in house restaurant here dishes out some eclectic local fare so post your shopping you can also sample some great delicacies. Thank you Bindi. Lovely to know of Anvita’s endeavour. Am certainly dropping in and will spread the word. Would you be able to give me leads through your articles on similar spaces closer to Sadashivnagar. And do write about Just Be, a vegan restaurant in Bangalore. A must know for sensitive earth friendly folks! No worries auto correct is quite a nightmare! Thanks for your comments. I will surely keep you posted once I find out spaces like these near Sadashivnagar – am guessing there could be quite a few. Will look up Just Be thanks for the tip. Thanks Veda, will keep you posted of others I come across. I will look up Just Be soon.